Taste and Truth: Announcing a Second Blog! Taste and Truth is still up and running. 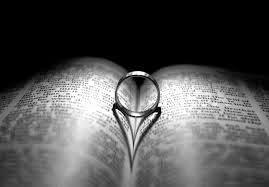 I've also launched a second blog focused of topics concerning Christians weddings and romance. It's more female-focused (since we do tend to care a bit more about the flowers and the bridal shower and all that).